Would you like to contribute to the community mental health services in Lambton Kent? Your gift will help CMHA Lambton Kent to provide services and resources in our community and promote mental health. The generous donations that we receive help us to continue providing valuable supports and services to those who need them. Are you passionate about raising mental health awareness and erasing the stigma associated with mental illness? Want to help raise money to support CMHA LK programs and services? 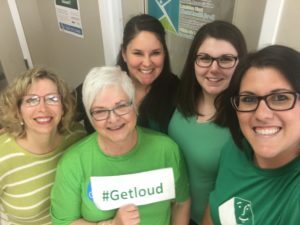 CMHA LK wants you to get involved! It’s easy and we are here to help you get started! Coordinate your own fundraising event or make CMHA LK your charitable partner for an existing event! Community events boost the public’s awareness of CMHA LK and our programs, promote community involvement and raise essential funds for our programs. Every little bit helps and we appreciate your efforts to help us raise awareness and funds for our programs. Please see the CMHA LK third party fundraising awareness event request form and the third party fundraising awareness event agreement if you would like to host your own fundraiser. Did you know? You can coordinate your own fundraising event using our secure partner site Canada Helps by clicking here.